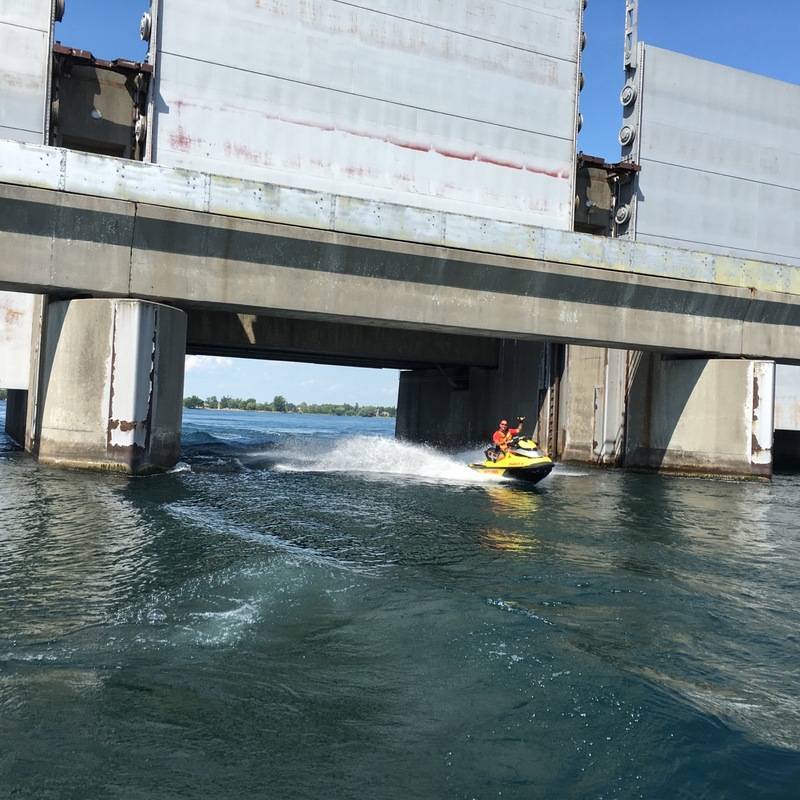 Among Ontario’s interconnected waterways, recreational boaters will find riding challenges to be aware of or avoid. By riding challenges, I mean locations that may look easy to navigate on a Google map or marine chart. But in reality, they are not. So I’ve compiled this list of riding challenges. Hopefully, it will help make navigating your jet ski, waverunner or Sea-Doo watercraft more enjoyable. It doesn’t cover the whole province or every waterway. Only the ones I’ve been on. But at least it should assist with self-guided Sea Doo tours and other recreational boating opportunities on the named bodies of water. This leg of the triangle certainly appears to be a straightforward route. 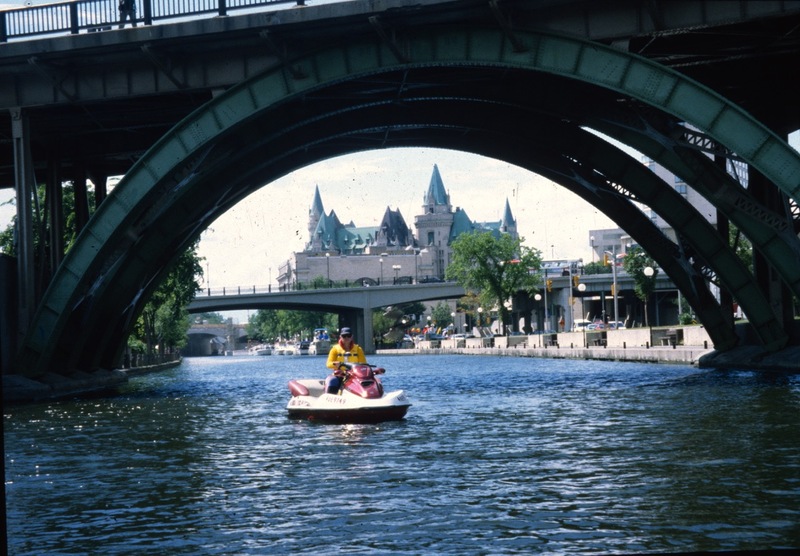 The Rideau Canal runs north 202 kilometres from Kingston to Ottawa. The Canal is navigable all the way, but looks easier than it is. 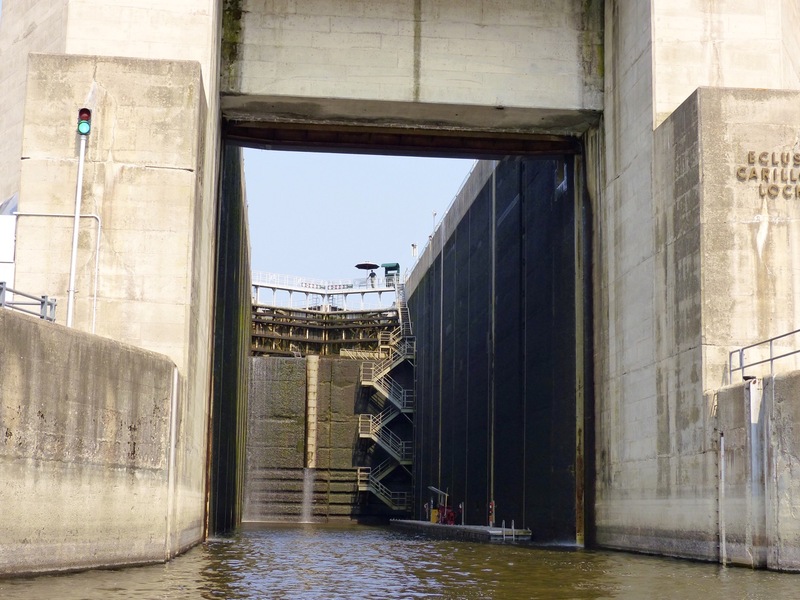 That’s because it includes 45 locks at 23 lock stations, all of which are subject to seasonal hours of operation. The length of time spent passing through each lock is variable and unpredictable. It depends on arrival timing, traffic volume and size of lock. So it’s only possible to guesstimate how long the entire passage of the Rideau Canal will take. But it will take a while – my Rideau Canal Sea Doo tour took three days to get from Kingston to Ottawa. For any vessel without sleeping quarters on board, this leaves limited options. Either be prepared to stay in lodgings along the way (as we did) or to camp at whatever lock you make it to by the time operations close each day (mooring permit required). It’s also important to know that access from the Rideau Canal to the Ottawa River (and vice versa) is through a series of eight flights locks. Locking through either way can take up to four hours. This section of the triangle goes from Ottawa down river to Montreal. It has only one major riding challenge. The giant Carillon Lock is positioned just east of Hawkesbury, Ontario. It doesn’t block the way. Just takes extra time you may not have expected. Depending on the timing of arrival and on the amount of traffic, passing through can extend well over an hour. This is how long it took on our Lower Ottawa River Sea Doo Tour. Cruising the St. Lawrence River part of the triangle from the Montreal area to the 1000 Islands and Kingston appears possible. But unfortunately, it is not. Any pleasure craft 6 metres (20’) or less in length is not allowed through the Seaway Locks. 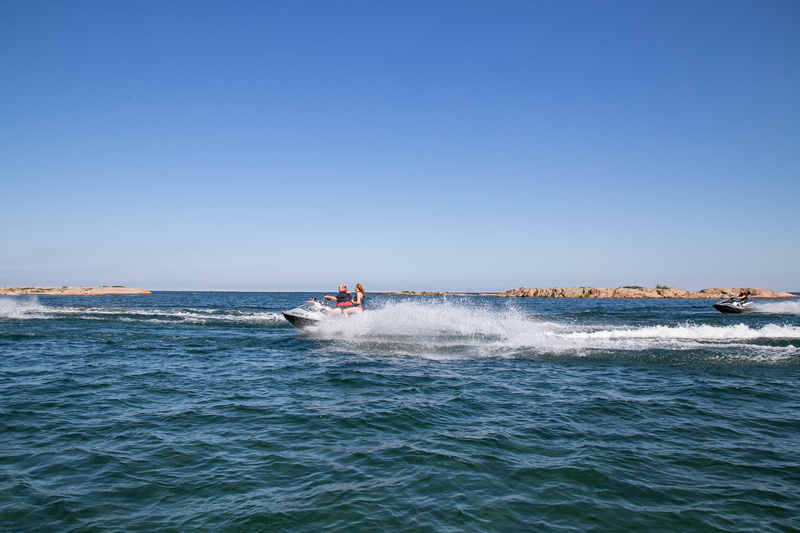 This restriction means all personal watercraft operators and many recreational boaters cannot travel from Montreal to Cornwall on the St. Lawrence River. Larger recreational boats can go through the Seaway Locks. But they may have long waits because freighters get priority. What’s more, Pleasure craft are not permitted to share a lock with any vessel longer than 100 metres (328’). There is one exception. Between Cornwall and Brockville, the Seaway System operates a lock at Iroquois. It has the same restrictions noted above. However, Ontario Power Generation (OPG) operates a hydro dam beside this lock. When water conditions permit (check before going), OPG opens one dam gate. This allows free passage of PWCs and small recreational boats. So riding is possible for personal watercraft from Cornwall up river to Lake Ontario when a gate is open. If not, you can ride from Iroquois to Kingston as I did on an Eastern Ontario Sea Doo tour. There is one final circumstance that sort of falls into the category of riding challenge. The international border between the Unites States and Canada runs down the middle of the St. Lawrence River. 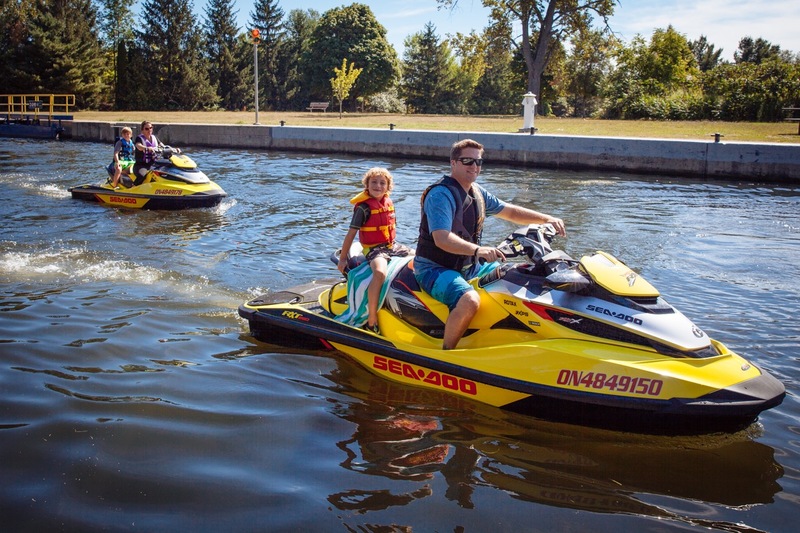 Jet ski riders and recreational boaters who are Canadians or Americans can cruise on both sides of the river with no problem. But neither can land in the other’s country without a valid passport and without checking in with border services immediately. This means recreational boaters must plan ahead for fuel, food and sightseeing stops on their own side of the border to avoid customs and immigration rigmarole. On my earlier Upper Ottawa River Sea Doo tours, I rode the 334 kilomteres from Pembroke to New Liskeard with only minor riding challenges. 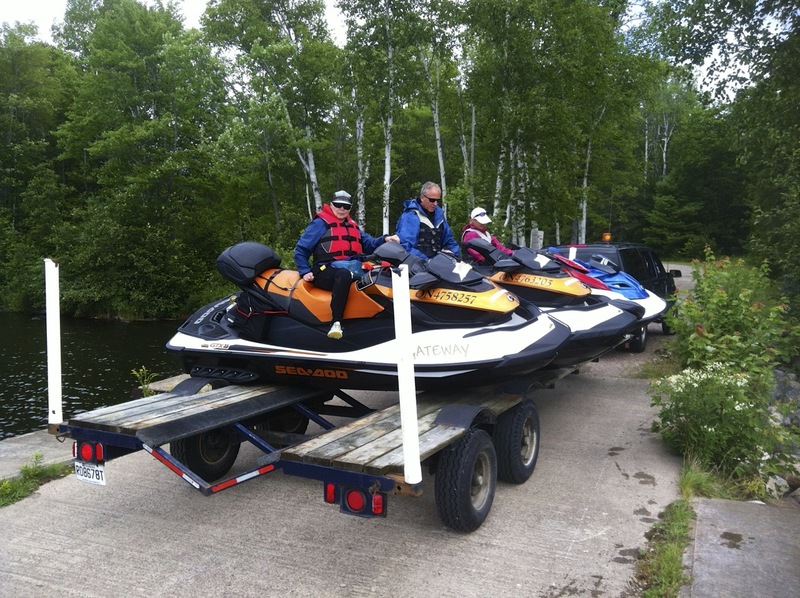 There were three, well organized transfer locations that “portaged” our personal watercraft around dams on large trailers. But now two of these, at Mattawa, Ontario and Témiscaming, Quebec are no longer operational. This blocks the way up river from Mattawa on. 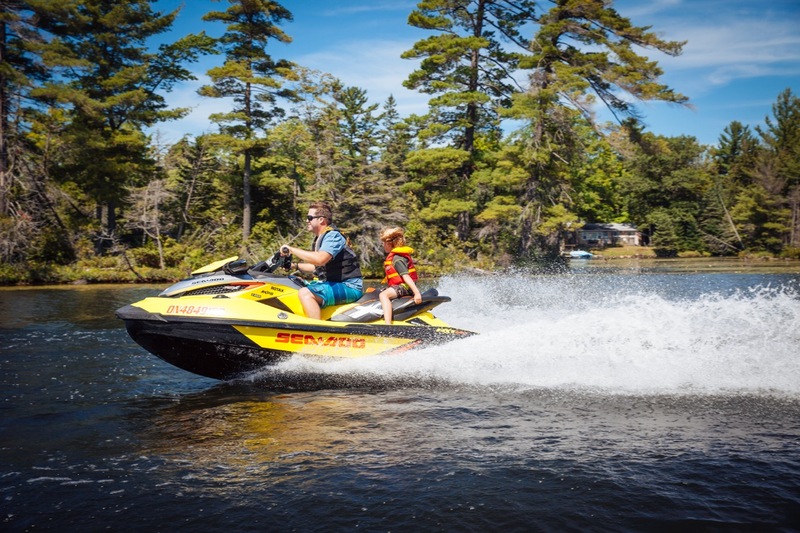 So today, jet ski riders and recreational boaters can only travel between Pembroke and Mattawa. To do so, they must pre-arrange the remaining open transfer at Rapides-des-Joachim (commonly known as “Swisha”). To my knowledge, there are no location-specific riding challenges on these bodies of water (except for those with international borders, see above). But personal watercraft riders and recreational boaters need to be wary of these “big waters”. Riding challenges include much bigger waves and more unpredictable conditions. Longer distances from shore than most inland lakes and rivers can also mean trouble happens faster and farther from help. My advice is that big waters are best avoided by less experienced recreational boaters, those not prepared for water emergencies or by the faint of heart. The Trent Severn Waterway runs north 386 kilometres from Trenton to Port Severn. The Waterway is navigable all the way, but looks easier than it is. It includes 44 locks. Each is subject to the same daily hours of operation. The length of time spent passing through each lock is variable and unpredictable. It depends on arrival timing, traffic volume and size of lock. So it’s only possible to guesstimate how long the entire passage of the Trent Severn Waterway will take. But it will take a while – my Trent Severn Waterway Sea Doo tour took five days to get from Trenton to Honey Harbour. For any vessel without sleeping quarters on board, options are limited. Either be prepared to stay in lodgings along the way (as we did) or to camp at whatever lock you make it to by the end of operations each day (mooring permit required). 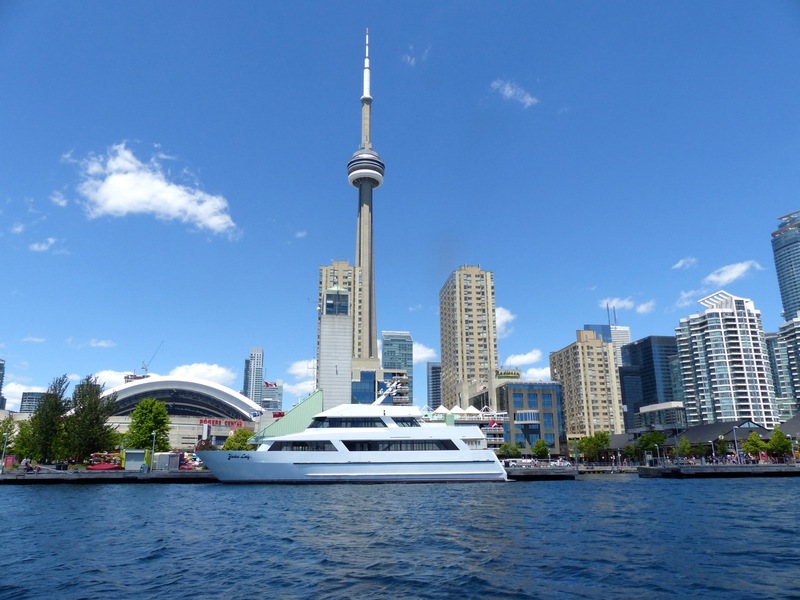 On screen and chart, recreational boaters wouldn’t see any riding challenges to cruising around the Toronto Islands or inner harbour. But the fact is that The Toronto Port Authority requires a permit to be on the water anywhere near the Port of Toronto. As far as I can tell, the Port of Hamilton is not as strict, but it’s better to check first before venturing there on a Sea Doo tour or to go recreational boating. Permit or not, the riding challenges in both busy harbours is from commercial marine traffic. It has both right of way and priority of passage. To say nothing of massive size advantage, so be careful. Undoubtedly, there are more riding challenges on waterways I haven’t experienced yet. If you know any, I’d like to hear about them. But the main takeaway from this blog is to do your homework before heading out. Don’t just assume that you can get from here to there easily on your personal watercraft!